I hope that you will be able to publish a book about PEFTOK. Such will surely fill the gap in our documented history. I'm also hoping that someone will also write a book about PHILCAGV. Best regards and more power. 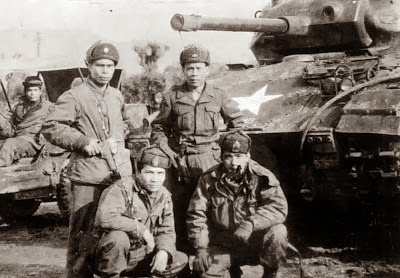 I have been trying to write a book about our country's role in the Korean War and PEFTOK for the past 12 years. I have asked three Presidents of the Philippines to support me; have asked assistance from South Korea and even from the Chinese. No one wants to spend money for a book about the Philippines' role in the Korean War. How much do you need? No promises; but, I might be able to help. Sir when I was young I remember my uncle telling his Korean War stories. Sadly I forgot everything about it. Thanks to your article, I'll ask him again about his side of the story. have u thought of making a story base from this and putting on a big screen? Now that I'm into war and history movies. I would love to see this on the big screen. I always thought of we were there. We had a part in the age of war. But why then nobody is showing this... Always abt the spaniards. Although there are still great stories that haven't been told yet. But still we were part of this world event and it's like nobody knew. Maybe if some of us knew what. We were back then. It would help lift are heads and not just kept on bowing down to them. By the way sir. Any news of your book? Hi. What BCT was your uncle with? I can't see anyone making a movie about the Philippines' role in the Korean War. As for my book, I can;t get anyone to support it. Love your country always. I saw a book entitled the Fighting 10th,owned by Andy De Guzman,it was loaded with pictures,i hope i can get hold of it once again,it was richly portrayed in pictures,andy even told me that bonny serrano ran when andy and co. were captured,andy became pow and was released thru prisoner exchange. Many of our Korean War veterans that I have interviewed are dismayed by our country's fall from power. We were once Southeast Asia's greatest economic and political power. One veteran told me that he could die content knowing he lived in a time when the Philippines was a Great Nation. He died a few years ago. We have a chance to reclaim that Greatness. It must begin in each of our patriot hearts. Hope VIVA or GMA make movie on this story. Its on first kind. It would be magnificent if someone could do this movie. But we all know our movie industry is all but dead. The only movies we see are romantic comedies,"tween" melodramas and "dramas" na panay sampalan, sigawan at kawalanghiyaan. Ganito be ang Pilipino ngayon? Nasaan napunta ang tunay na Pilipino na tumalo sa mga Hapon, Intsik at Koreano? Sana nga may producer na maglakas loob na gumawa ng pelikula tungkol sa mga bayaning Pilipino noong Digmaang Korea. Sana nga . . .
Sir Art, do you have a resource containing all the names of our soldiers who fought in Korea? Ang namayapang lolo ko po kasi, ngalang Conrado Santos, ay lumaban daw ho noon sa Korea according sa kwento ng pinsan at tatay ko. Nagretiro ho sya sa sandatahan as major. Gusto ko lamang po malaman kasi kung anong unit sya nakasapi dahil di na rin po matandaan ng pamilya ko ang mga detalye. Maraming salamat po. The names of all the Philippine Army soldiers who served under PEFTOK can be found at the Museum of the Philippine-Korean war Memorial Hall at Bayani Road at the Libingan ng mga Bayani. The names are printed on tall glass panels located inside the Museum. You can visit the Museum Monday to Friday and take photos. Masaya ako na nakita ko ang article na ito. 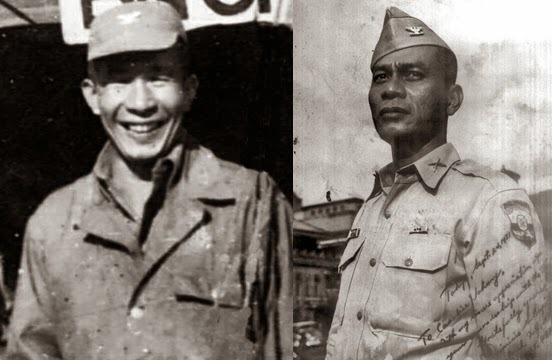 Matagal ko na ka sina hinahanap ang History ng Korean War & btw isa sa mga veterans na nabanggit ay lolo ko (Lt. Venancio “Bonny” Serrano)kaya tuwang-tuwa ako nang mabasako ang pangngalan niya. Matapang talaga ang lolo mo. Di takot lumaban. Astig talaga. Lahat ng nakausap kong mga miyembro ng 10th BCT ay sumasangayon dito. Be very proud na tunay na Bayaning Pilipino ang lolo mo. Huwag mo siyang kalilimutan pati ng ang mga kapwa niyang bayani sa PEFTOK. Sir Villanueva, Salamat sa Blog niyo, ako ay isang anak ng mga mandirigma, Ang mga ninuno namin ang isa sa mga lumaban sa mga Español, ang naalala lang namin ay yung kwento ng Lolo ko nung World War II, Gusto niya sumali nun sa Korean War ang problema lang noon eh nadischarge siya sa Serbisyo dahil sa sakit niya nakuha nung World War II, Salamat dito nalaman ko ang Full History ng 10th BCT, kami nalang sa Pamilya namin ang nagmamahal sa bansa namin, ang tatay ko dati ring sundalo sa Scout Ranger unit siya, same as my brother nag graduate siya sa PMA nung 2006, ngayon nasa Airforce na siya lumalaban sa mga Rebelde at terorista, as for me; lalaban ako sa bansa if nilusob tayo, hindi ko iiwan ang bansa ko kahit mamatay ako rito, lahat kami ay mga "Patriots", dati ako nung CAT ko nung high school, sumasaludo ako sa flag, ang mga classmate ko (mga rich kid's) eh tinatawanan ako, kaya nga sabi ko sa sarili ko... nag-iisa nalang kami. Anyway po salamat po sa blog niyo. More Power po. Ang mga bayaning tulad ninyo ang tanging pagasa ng Inang Bayan. Di tayo uunlad o magwawagi sa digmaan kung walang mga Pilipinong handang isakripisyo ang sariling interes o buhay man para sa kabutihan ng nakararami. Kakaunti lamang ang handang ibigay ang lahat para sa Inang Bayan. Mag Bayani kayo. Thank you this info , Mr. Art Villansanta. You are your self a hero , a gem of our country for never ceasing to tell and retell the heroism of our Filipino soldiers. My father was also a veteran in Korean and Vietnam wars. As a child then The words !0th BCT is often mentioned in the house. We kept collection of Papa's pictures in Korea, just like what you have published here. Unfortunately we weren't able save some when our old house was razed by fire in the neighborhood years ago. Although to give tribute to my father, I wrote my Masteral thesis about the PHILCAGV at UST . 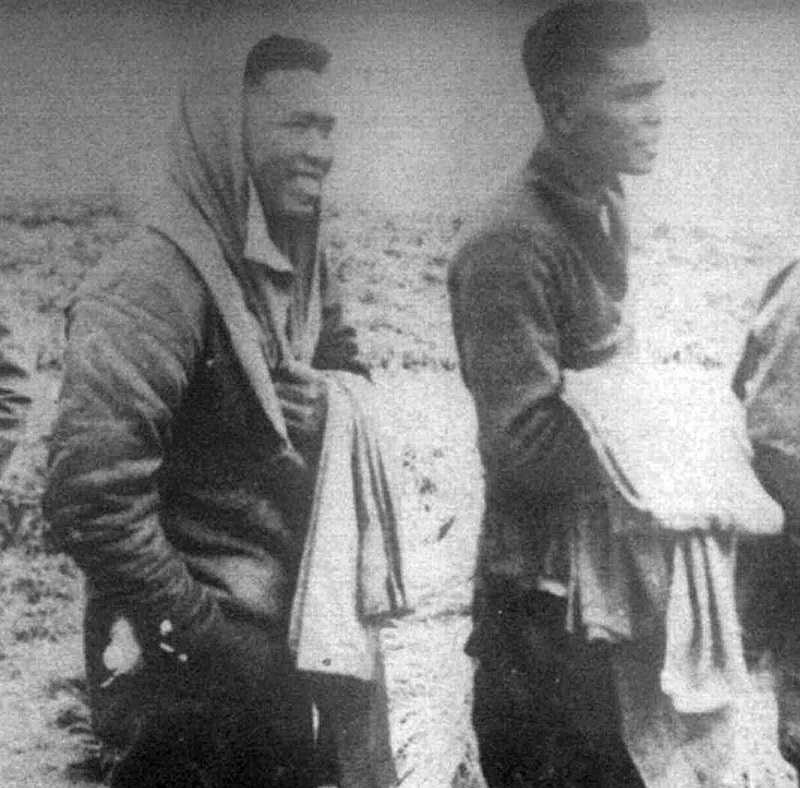 I have always thought of how gallant Filipino Soldiers of the past, and feel aghast of the image the present military hierarchy as they display of immoralities and corruption galore. I am proud to call myself a daughter of true hero.. A salute to PEFTOK and the PHILCAGV. I salute you Sir. I salute your father for serving our country in two wars and for being a Hero in the truest sense of that word. I salute you for cherishing and keeping alive his memory and those of his comrades who fought for our country. I might write a history of PHILCAGV and if this project pushes through, can I read your thesis? I graduated from UST. God bless you and yours. Hi. I hope you enjoyed the book. The pictures are fantastic. I also hope you enjoyed reading this website. God bless you and yours. san pwede makabili ng book po? Hi. Wala nang mabibili ng kopya ng The Fighting Tenth. More than 60 years na out of print ito. May kopya yata ang National Library at ang Library ng Philippine Army sa Camp Aguinaldo. Hi. I'm glad you'll be visiting Korea. Make certain to visit the War Memorial of Korea in Seoul. Look for the brass plaque with the names of our heroes who died in the Korean War. There is an exhibit honring the Philippines' role in the Korean War on one of the higher floors. I think its on the third floor but you'll find out. You must visit the DMZ. There are tours to the DMZ but I don't know if the tours are being offered because of the tensions with North Korea. 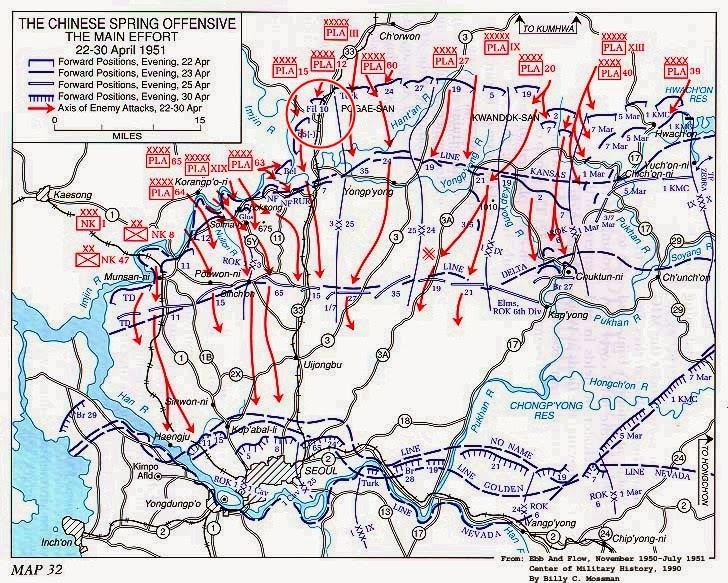 I don't know your father's BCT so I can't refer you to any speciic place but the locations where all our BCTs fought were outside Seoul. Be sure to shop in Seoul, which is shopping paradise for girls. Take all the photos and video you can and email me a few. Have a wonderful time. Thank you.. I think my father was with the 14th BCT... again, thank you, Mr. Villasanta! If you have time, please visit the PEFTOK Korean War Memorial Hall along Bayani Road inside Fort Bonifacio. The Memorial Hall has a PEFTOK MUSEUM with the history of the Philippines' role in the Korean War and memorabilia donated by our Korean War veterans. Perhaps your lolo wants to donate some of his Korean War items to the Museum. I salute your service as a military nurse. Love your country always. 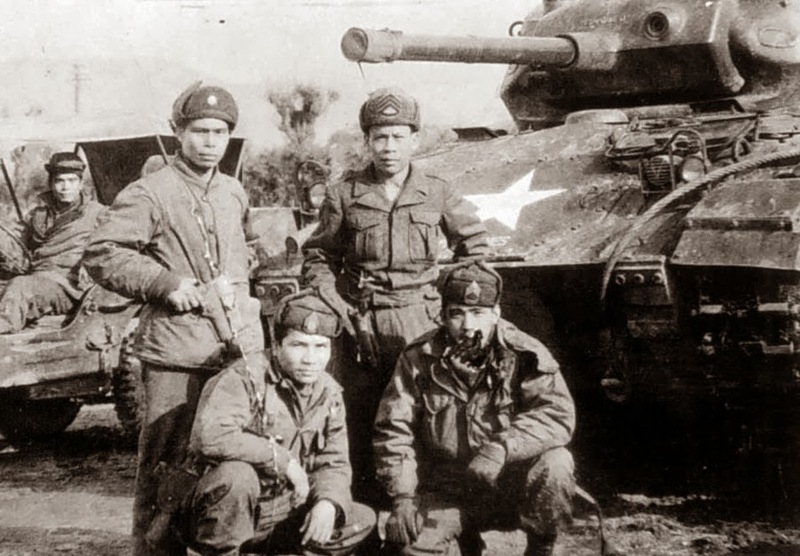 Kindly write about the lone filipino soldier who singlehandedly destroyed about a dozen tanks. My Grandfather was with 10th bct, he has a medal but i don't know what kind of medal it is..
Mr. Villasanta I wrote on your blog but for some reason it was not posted. Anyway I congratulate you on your blog which is very informative and I appreciate what you have done. Was also very happily surprised seeing the photo of your father with my dad, the late Col. Mariano V. Aguilar of the 20th BCT. They have a photo with a damaged building at the back which by the way is the City Hall of Seoul. I was very fortunate of having the opportunity of visiting Korea in 2013 and seeing the old City Hall. It reminded me so much of that photo and now I know whom my dad was with. Again maraming salamat po! It's always pleasant hearing from the children of our PEFTOK heroes. God bless you and yours. Thank you for the suggestion and your offer to help. I have been trying to do this for over 10 years and frankly, I am tired of failure. Let me think it over. Stay in touch. They should have added you to the credits. Hi. You can call the office of the PEFTOK Veterans Association, Inc. at 911-25-79 and ask about yor lolo. They can help you. My grandfather is one of them too i'm proud of him! His name is Alfonso Saquilayan.. His unit is 10th BCT Charlie company...i'm happy too because i love KPOP ahaha.... Thank you for th info! Wow! Thanks. :) my grandfather was in 10th BCT his name is Manuel Garcia.. but sad to say he died last jan 2013. Proud ako na naging apo ng isang bayani at world war 2 veterans and korean war veterans.....at 10bct batallion commander....na si Gen.Ojeda.....i Salute to all Filipino Veteran Soldier...Mabuhay!! You can call the office of the PEFTOK Veterans Association to find out. Their telephone is 911-25-79. Their office is at Camp Emilion Aguinaldo Quezon City. Lakas ng K-Pop and Korean Wave dito sa atin. You'd think na because of this, magiging mas interesado Pinoy sa pakikipaglaban natin sa South Korea noong Korean War. Talagang K-Pop lang tayo. Does anyone has a list of names of PEFTOK soldiers. My uncle Anselmo Villablanca is one of them. Please email me at supermannztv@gmail.com Thanks!! You can visit the PEFTOK Korean War Memorial Hall in Taguig. The names of all our soldiers who served in Korea are printed aon large display panels. You can look for your uncle's name in his BCt. Dear Mr. Art Villasanta, I posted to your blog a while back but for some reason it did not post. Maybe because I did not have a profile then. My apologies for not being a better correspondent with you. I am truly the "Forgotten Historian" of The Forgotten War, but I have accepted this. My aims in creating my PEFTOK website were to tell a story no Filipino historian has told; to ensure the gallantry of the brave heroes of PEFTOK lives forever and to fulfill part of a promise to my late father. I promised my dad to write a boon -- a printed book -- but I now realize I will never get to do this because no one cares. I thank you for your wish that I or my dad somehow be credited in any new film but this won't happen. I have only one copy of my dad's book. My aim now is to republish this book if I can. Do whatever you can to ensure the memory of PEFTOK and its brave men -- including your father -- lives one eternally. God bless you and yours. Last year, 10th showed again its fierceness during Marawi Crisis, the 10th was again part of Marawi Liberation (Kudos to 11 Killed-in-action and 101 Wounded-In-Action). I am always honored when heroes like you write to me. God bless you for your service. I thank you and salute you for having served as a soldier in our Philippine Army. I am saddened by the death of so many brave men of the 10th in Marawi. Thank you for telling me the 10th still shouts "STEADY ON!" You might want to visit the PEFTOK Korean War Memorial Hall in Taguig. The PEFTOK museum has the names of all our soldiers who served in Korea from 1950 to 1955.You can take a photo of his name. Maybe it's time we try a gofundmefor the book if you have not tried it yet sir.